In this article, we will discuss the BLACK+DECKER POWERSERIES PRO Anti-Allergen Stick Vacuum (HCUA525JA). We put it through the same test as all the others and this article will be the results and our review. The Black & Decker Power Series Pro comes in three different versions. We chose the anti-allergen version because it has a HEPA filter which is the main difference between the other two besides a slightly different attachment package. Though the pet version does have an anti-tangle brush. So starting with the pros, we might as well begin with filtration. It does have a HEPA filter, and it passed our smoke test showing that there were no leaks and the HEPA filter works. Many of the others we’ve tested so far were not able to pass this test so score a point for the Black & Decker. It’s also much more versatile than the others. 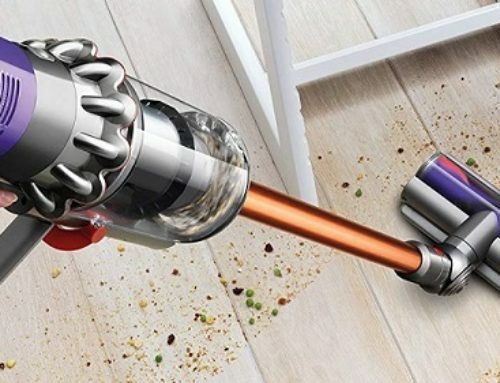 Besides being a great vacuum, which we’ll talk about later, it converts to a handheld unit by being able to detach the canister for cleaning cars, upholstery, or stairs. You can also use the extendable handle for reaching up high, and it’s the only one we’ve tested that comes with attachments, in this case, three types of dusting brushes and a crevice tool. It’s packed with features, including a kind of trash compactor for pushing debris down to get more vacuuming time before emptying the bin. It also has an LED light and a lot of power options. Besides being able to shut the brush roll off for hard floor cleaning, it has a low, medium, and high power setting. You can also easily remove the brush roll for easy cleaning, which is nice. We measured its suction at 25 inches of water lifts. Its airflow at 32 CFM on high, 27 on medium, and 21 on low, which is higher than either of the Shark Freestyle or the Hoover Linx. It has excellent pick up on all surfaces. On carpet, it did well with fine debris, pet hair, and large to extra-large debris on both low and high power. We didn’t test it on medium power, but you can infer that it would do good there as well. Similarly, with hard floors, it picked up all the debris in the test, and again, notably did fantastic with larger debris due to its large gate on the cleaner head. So it gets high marks for pick up performance in general with all surface and debris types. We should say at this point that we found that with hard floors you should actually have the brush roll turned on. Normally, this would not be advisable since the brush can scatter debris on hard floors with other types of vacuums. But with the Power Series Pro, it has a nice seal on the cleaner head, so there’s no reason ever to shut off the brush on this unit, especially since it does so much better with the brush turned on. Its deep carpet cleaning was also a pro. It scored 84% on the embedded sand and the carpet test, beating both the Hoover and the Shark by a fair amount. The battery life is a pro. Black & Decker says it gets 60 minutes of battery life, and that’s true, but only on low power with the brush roll off, which is far too low to be effective. But on medium power, we tested it at 31 minutes and 13 seconds, and 16 minutes and 22 seconds on high power, which is good, especially when compared to the Shark or the Hoover. My recommendation would be to use it on medium power with the brush roll on which will give you more than enough airflow while getting optimal battery life. It’s slightly heavier than the others we’ve tested at eight pounds and eight ounces, but when you compare that to more traditional cordless vacuums, like with most of the weight on the handle, or upright vacuums for that matter, it’s pretty much a meaningless difference since compared to those it’s like vacuuming with a feather. We also like the different type of swivel on the cleaner head which gives you a lot more control and maneuverability than the others we’ve tested so far. Moving on to the negative stuff. It has a pretty significant recharge time. We couldn’t get an accurate number, but we would say at least five to six hours from fully drained to fully charged. Related to that, the battery is internal, so it’s not easily replaceable, though we haven’t seen any reviews that would suggest it needs to be replaced anytime soon. Another thing is that you need to be careful to make sure it locks in place when trying to stand it up as it will fall over if you don’t hear the click that means it’s locked. Its edge cleaning was probably the worst of all we’ve tested so far. It’s not for lack of power but most likely due to the shape and seal of the cleaner head. It’s not a deal breaker, but it’s not great. 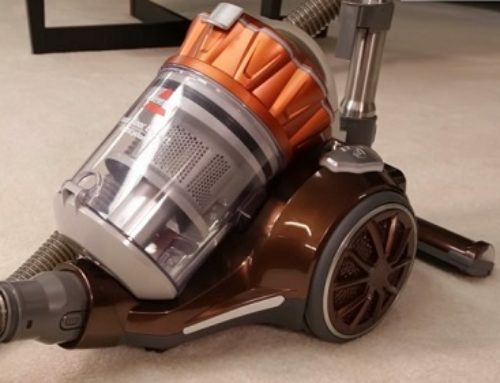 So even though we still have the big competition coming up where we’ll test all five of the cordless vacuums we reviewed in this series, we can say right now that the Black & Decker Power Series Pro anti-allergen is our personal favorite so far. 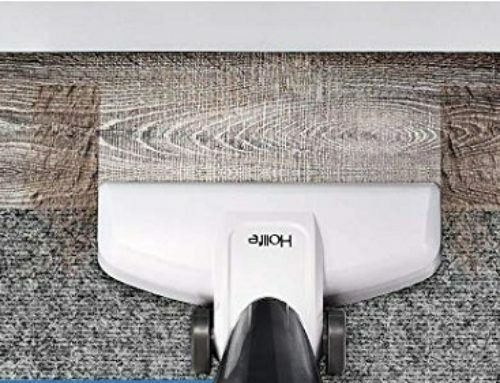 It has great power, amazing pickup performance, it’s the only one that can be used for more than normal vacuuming, and it has great filtration. Add to that all the cool features, and it’s a no-brainer for me.